"This Camp must comply with regulations of the Massachusetts Department of Public Health and be licensed by the Cambridge Board of Health." 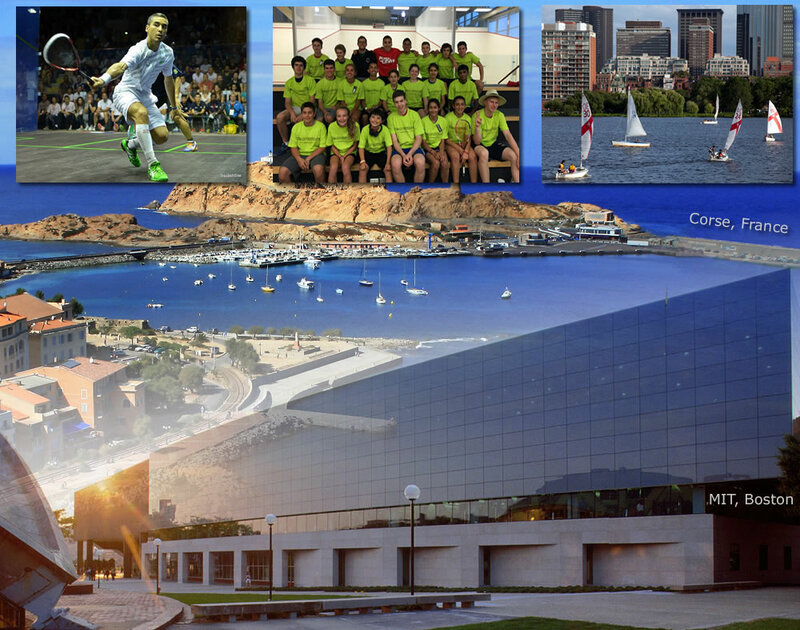 This Squash Camp is for players between the ages of 10 and 18, and offers a fantastic opportunity to learn about competitive squash from world-class coaches while immersed in the most creative academic environment in the world — Cambridge, Massachusetts, home of MIT and Harvard University. We will identify the needs of all campers and give them the tools to improve and get to the next level. Campers will also enjoy the beautiful MIT facilities with 6 international squash courts, fitness center, and media room. The entire Athletic facility is Air Conditionned. Space limited (max 28 Campers). * Evening Activities options may include trips to the movie theater, the mall, attending a Red Sox game, and seeing the sights of Boston as well as playing Basketball, Capture the Flag, Frisbee, and other games. Some activities will cost an additional fee, but there will always be alternative activities for those who don’t wish to participate.